So, i'm not sure if you guys are aware but this Saturday is National Strawberry Day so what better time to make yourself a delicious berry smoothie? 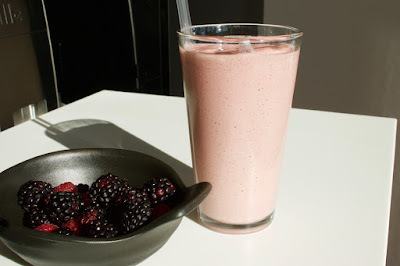 I love this smoothie in the mornings when i need a boost but don't feel like eating a lot or late afternoon when i need a pick me up or maybe i missed lunch by accident. The fruits and zeal give me a nice non-jittery boost and the oats help keep me full a while. If you have fresh fruit obviously thats best but if you only have frozen... a smoothie is better than no smoothie so give 'em hell. Leave your favorite smoothie recipes below!